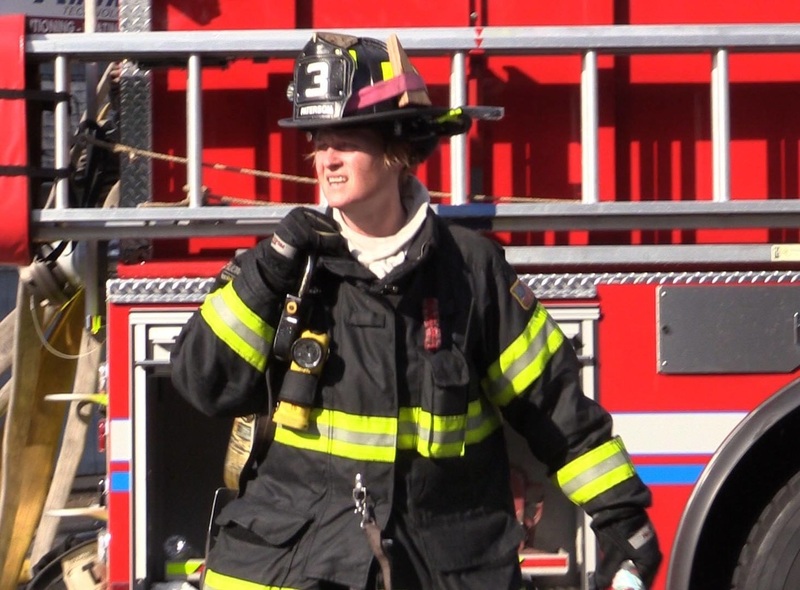 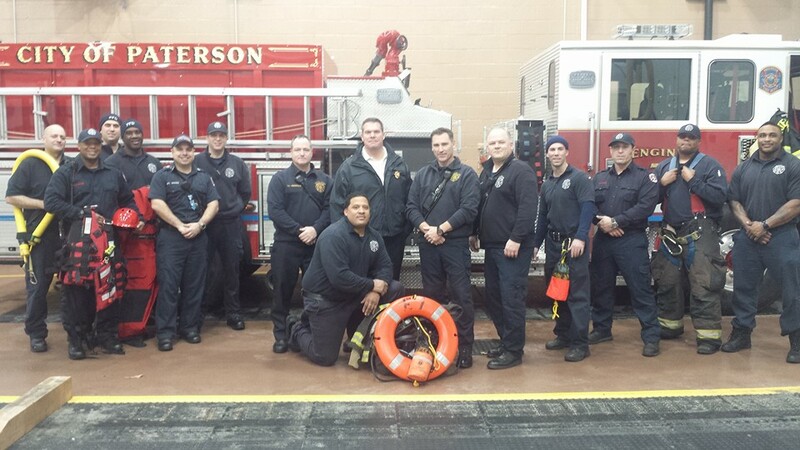 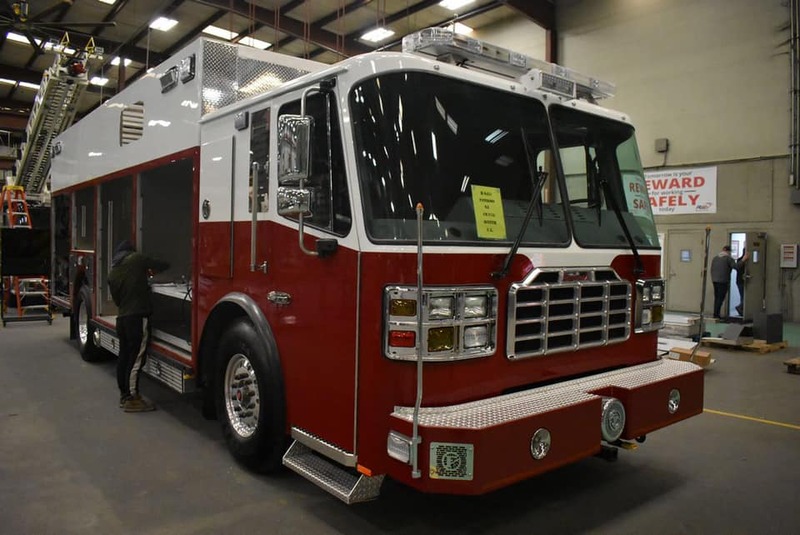 ​January 26: #160535 Tour 3 firefighters rescue two teens who fell through ice into Passaic River. 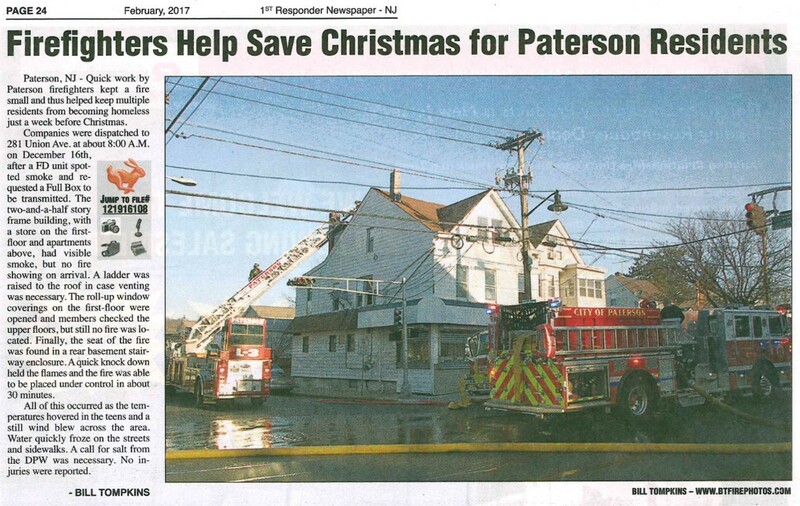 Heroic actions by Battalion Chief Brian Rathbone and Deputy Chief Brian McDermott and the other men. 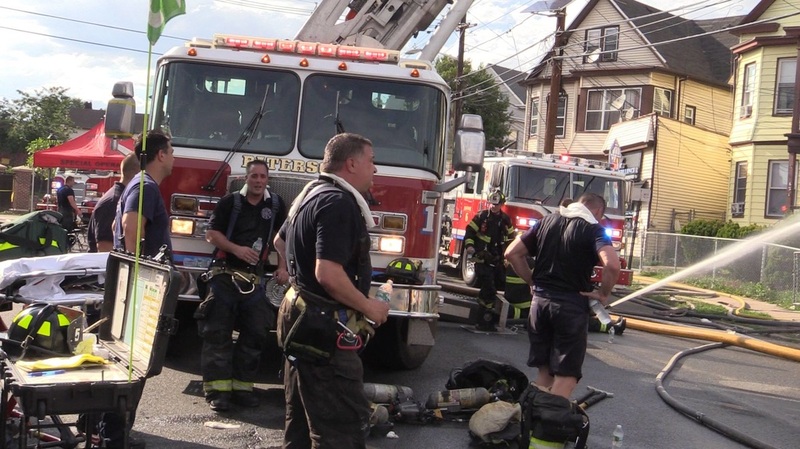 May 30, 2016: Paterson NJ Fire Dept Operates at a motor vehicle accident with entrapment Madison Street and 20th Avenue. 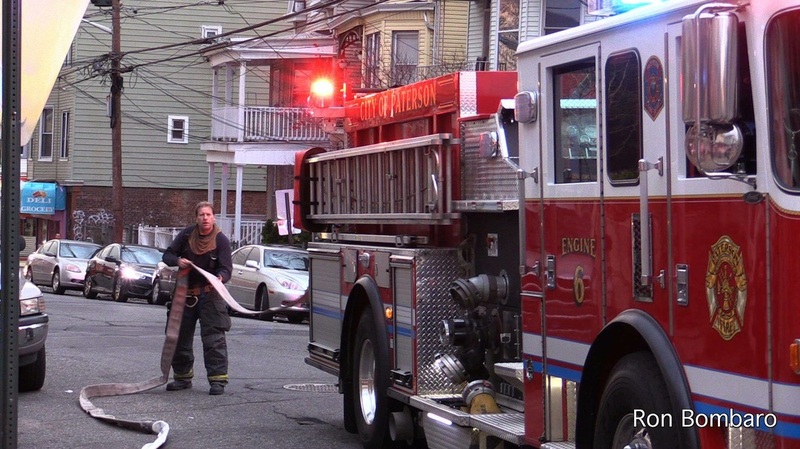 Engine 6 and Ladder 1. 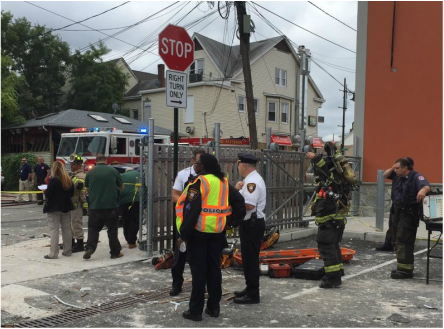 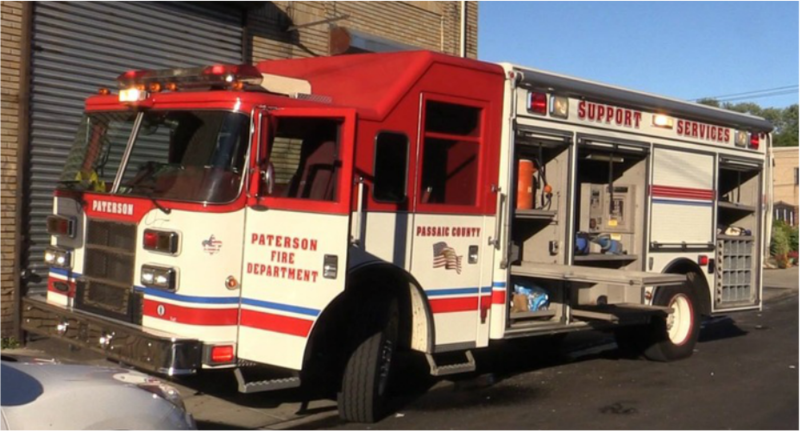 At 0902 Paterson E-6, L-1 and BC-1 responded to 16 Goshen St. for a possible gas leak. 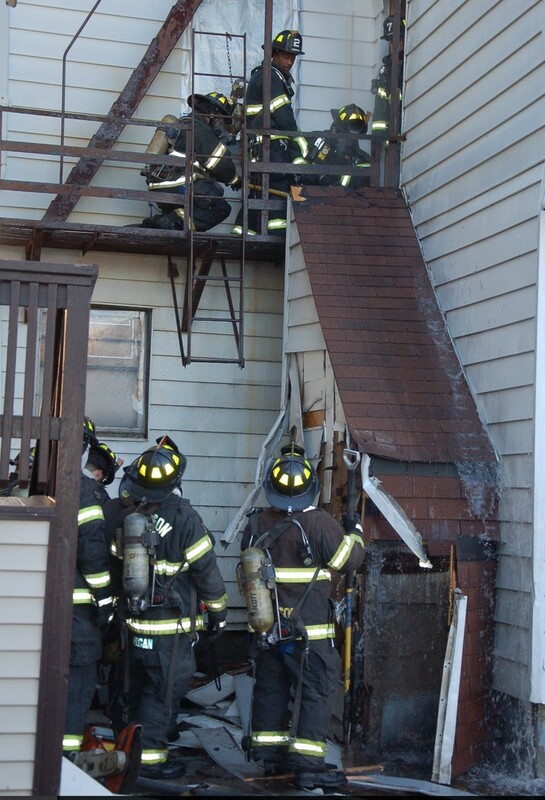 On arrival companies found a confirmed leak in the basement of the 2-1/2 story frame, described as a loud hissing sound. 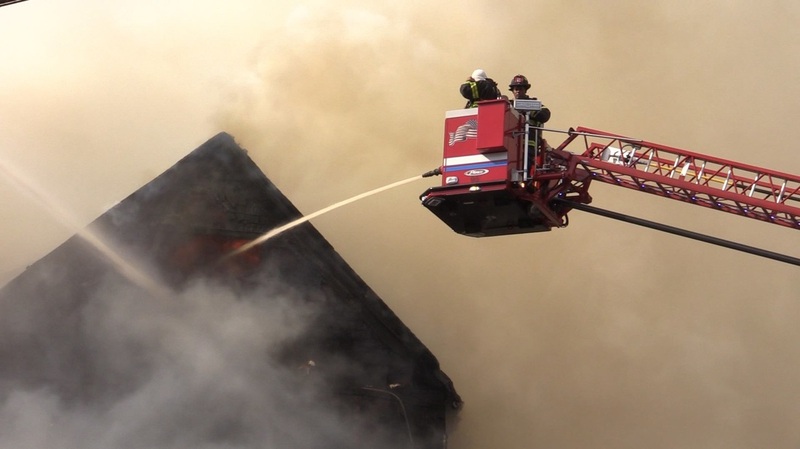 Co's started evacuating the adjacent dwellings and at 0920, BC-1 (Brian Rathbone) requested R-2 special called. 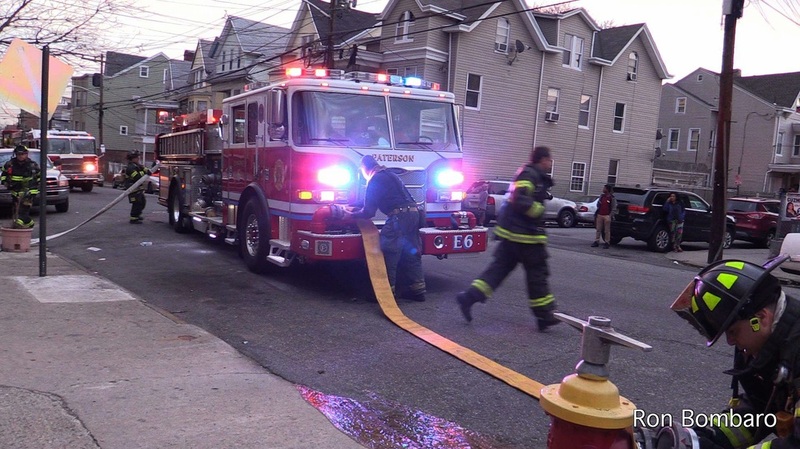 At 0921 Deputy 3 advised dispatch that he was responding and also asked that the box be filled out, E-3, 1, 7 and L-2 were assigned. 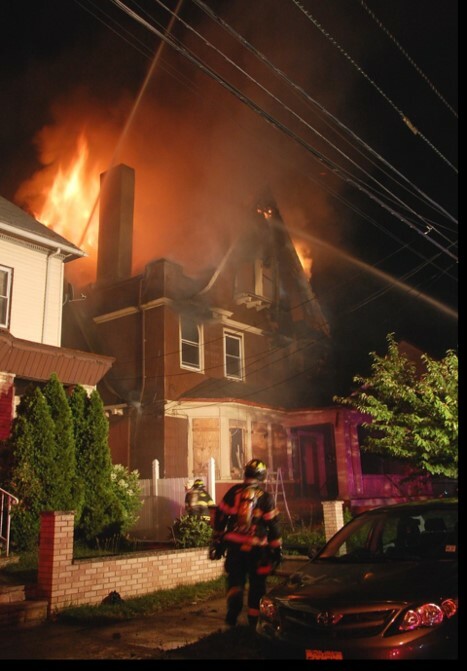 At 0928 as rescue 2 was in the process of removing an elderly woman from the C exposure (on Grove St) a powerful explosion ripped through the home destroying it as well as the B exposure, #18, another 2-1/2 story frame with heavy fire in the debris. 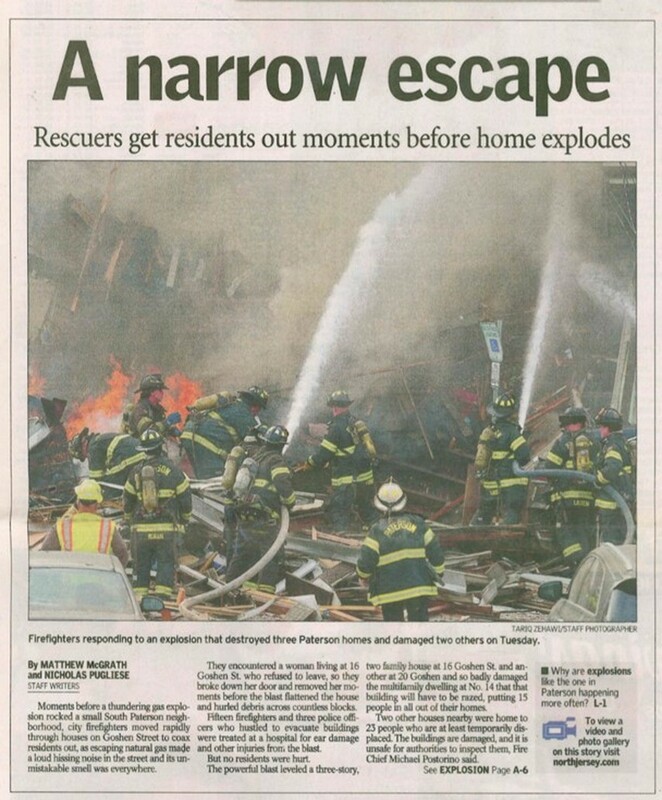 DC-3 arrived shortly after the explosion and at 0933 requested a 2nd alarm bringing E-4 & 5 and the field com (51). 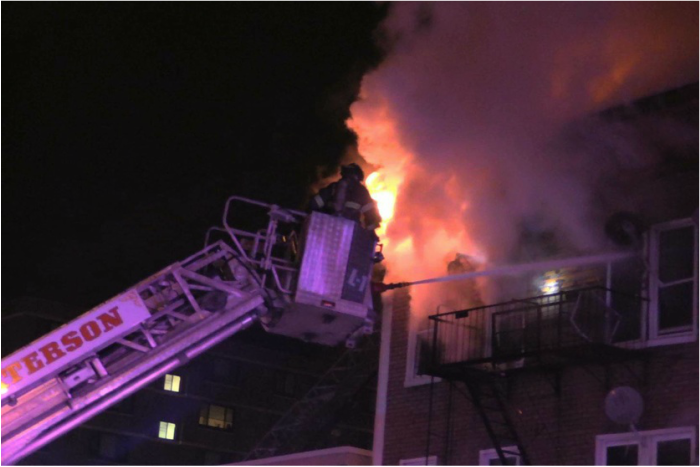 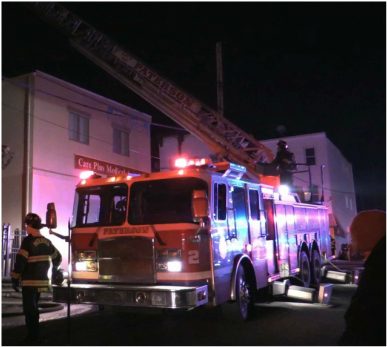 A par was conducted and all members were accounted for: companys set up numerous exterior hand lines to knock down the fire and protect the exposures. 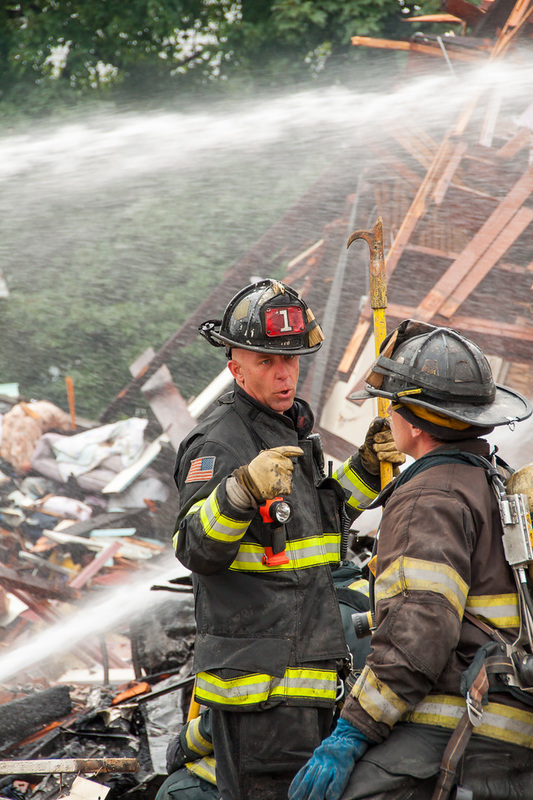 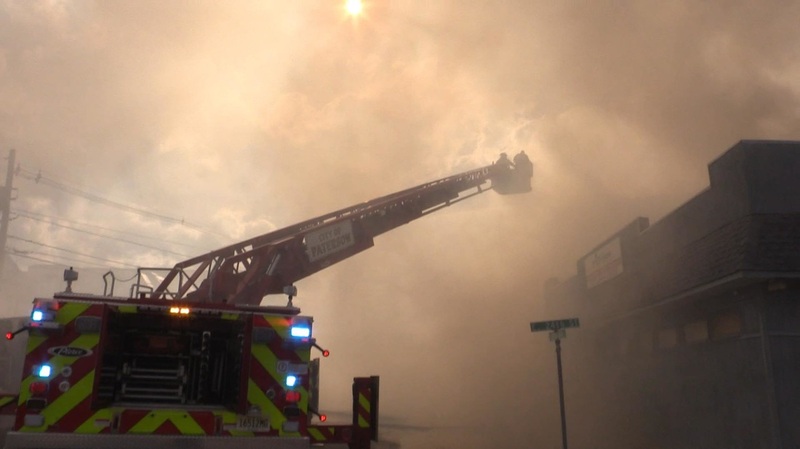 All visible fire was knocked down in about 20 minutes but companies continued to wet down the rubble due to deep seated fire which continued to smolder. 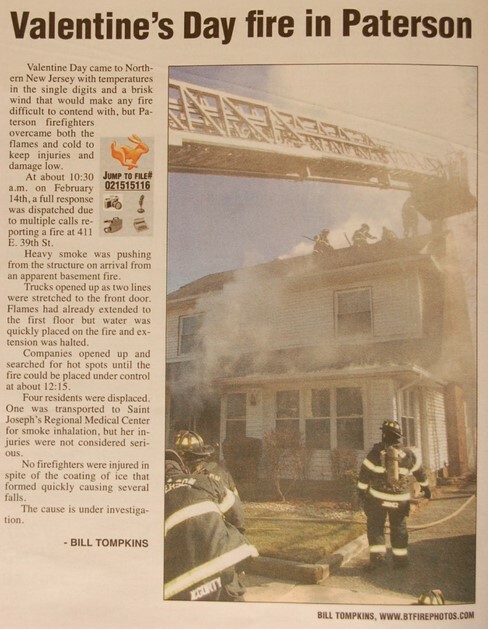 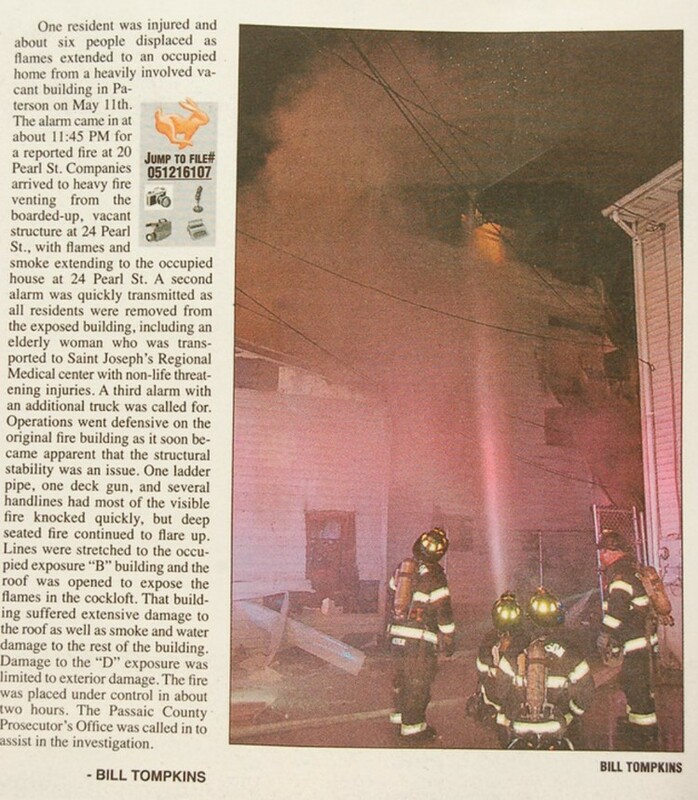 Miraculously all occupants had been safely evacuated prior to the explosion and no civilians were injured. 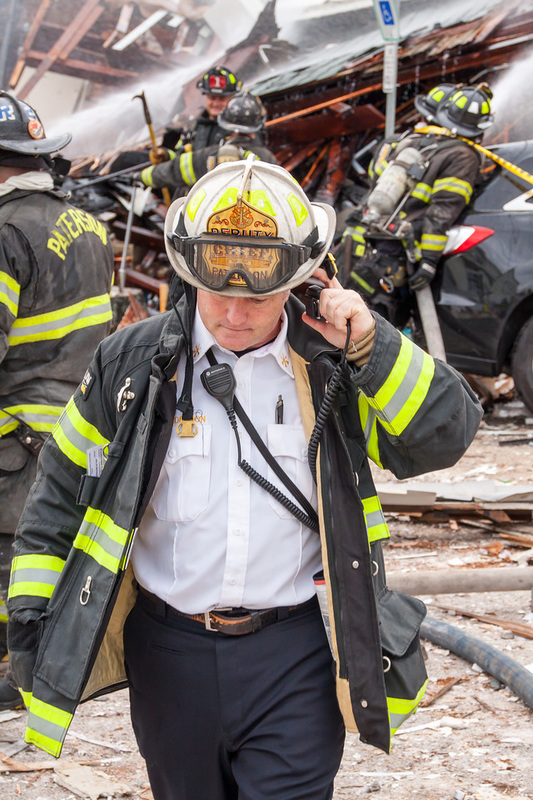 15 firefighters and 3 police officers were transported to the hospital with non life threatening injuries, mainly due to ringing in the ears from the explosion. 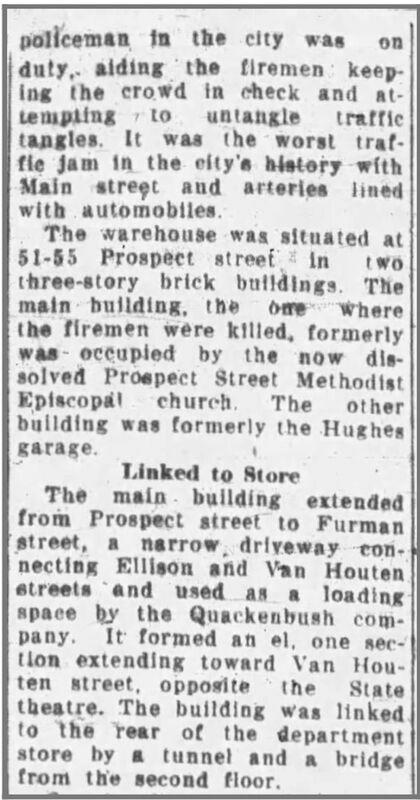 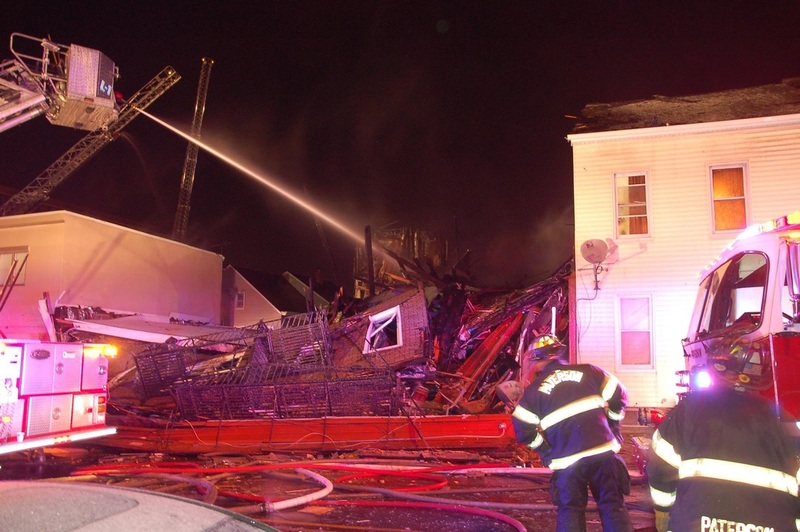 The D exposure building was severely damaged and was torn down, the B-1 exposure was also heavily damaged but it fat undetermined. 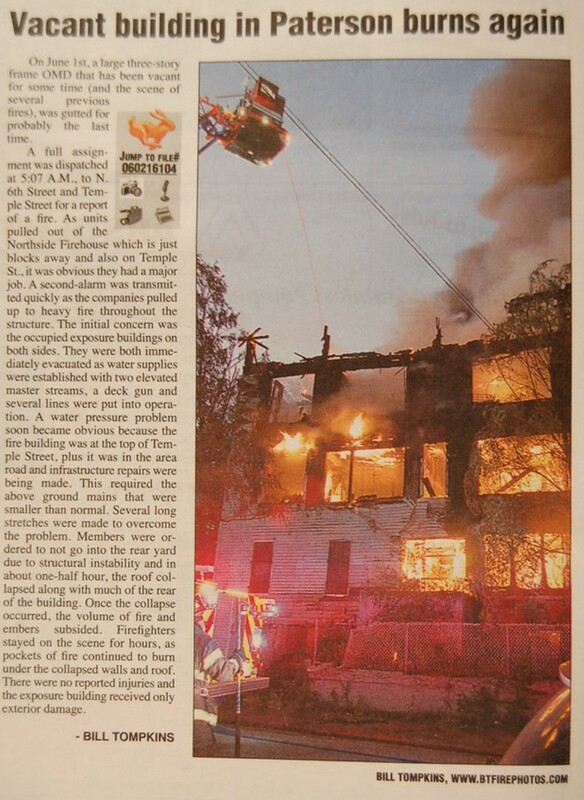 As many as 56 other buildings in the area suffered damage and were being evaluated by engineers. 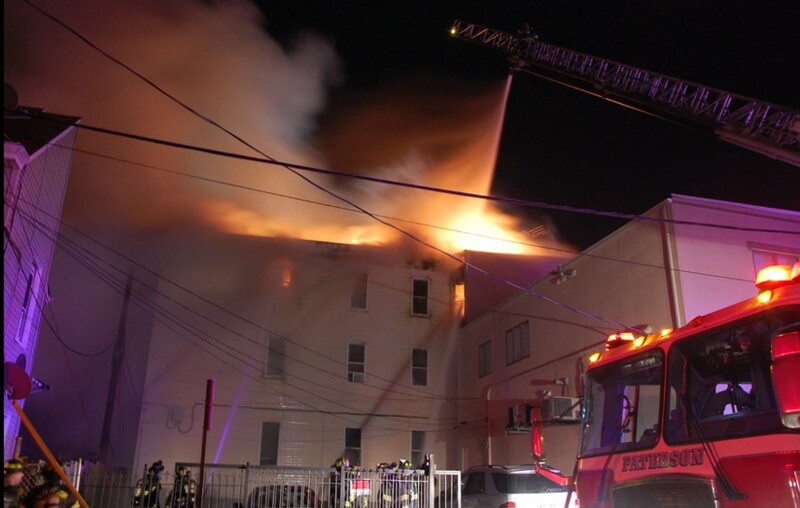 A total of 38 people were displaced. 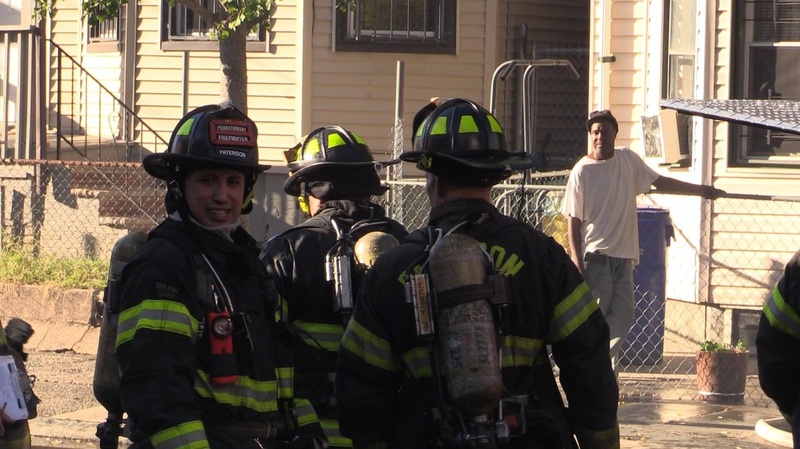 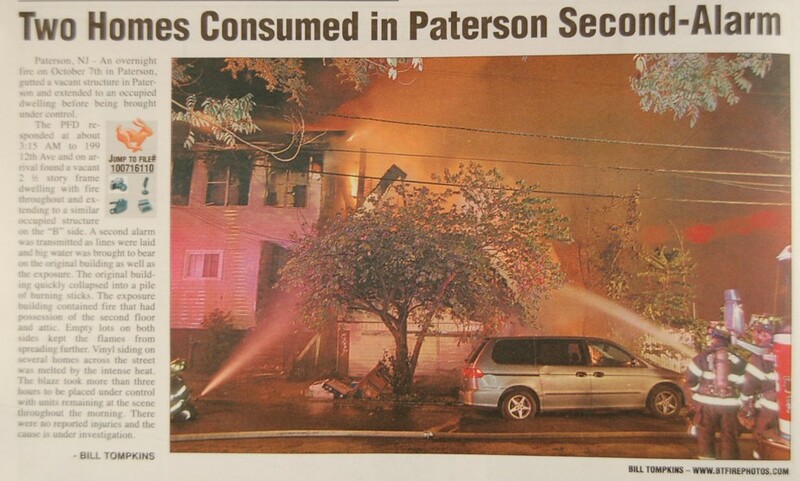 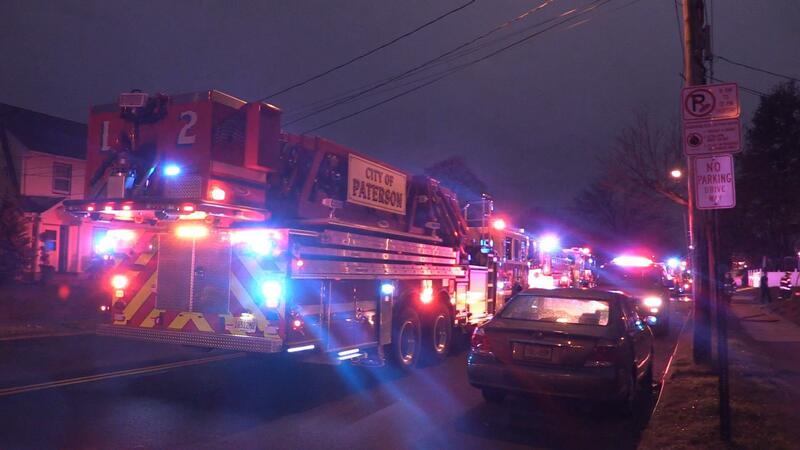 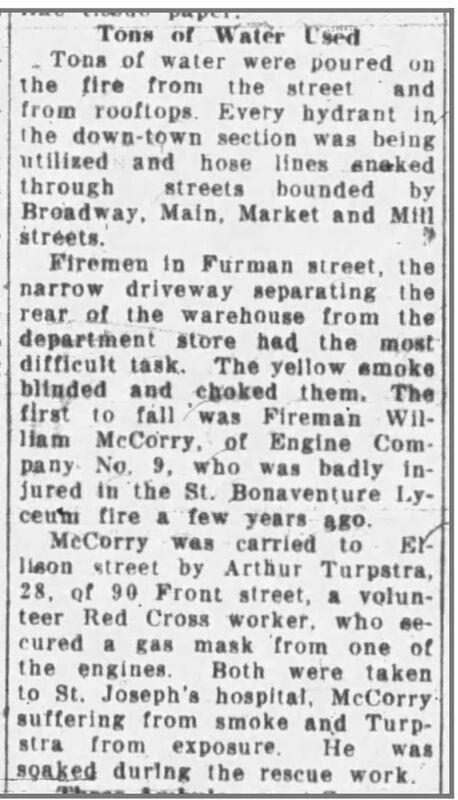 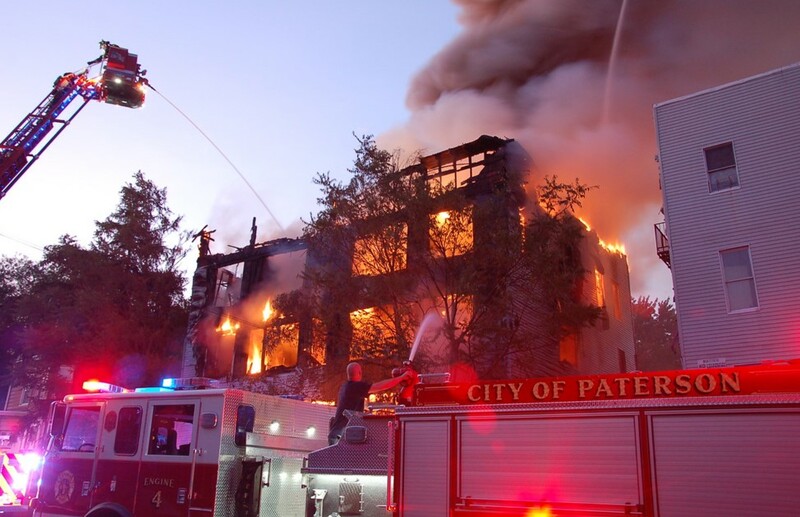 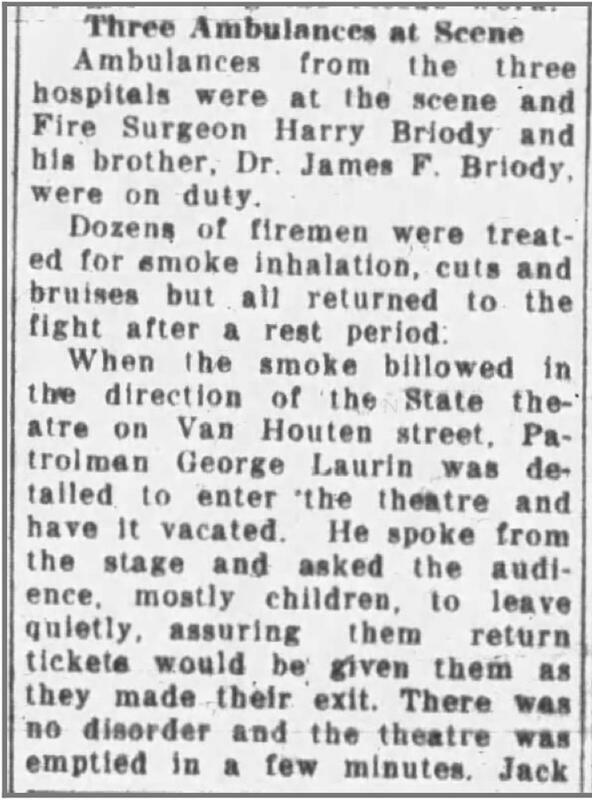 Many lives were probably saved by the swift actions of the Paterson Fire Dept. 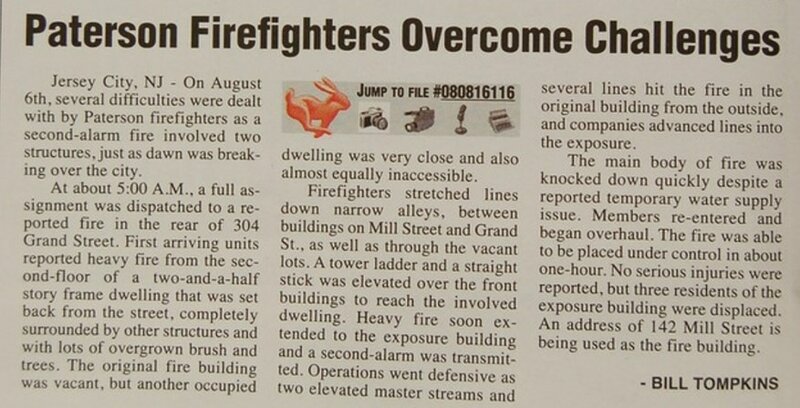 at great risk to their own safety. 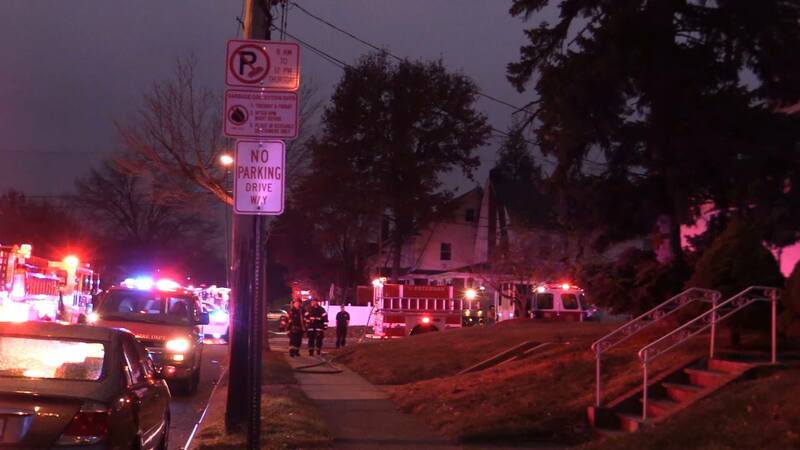 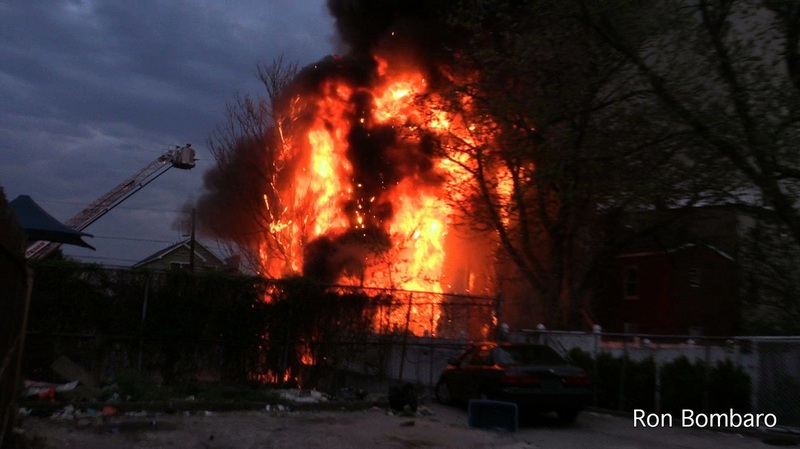 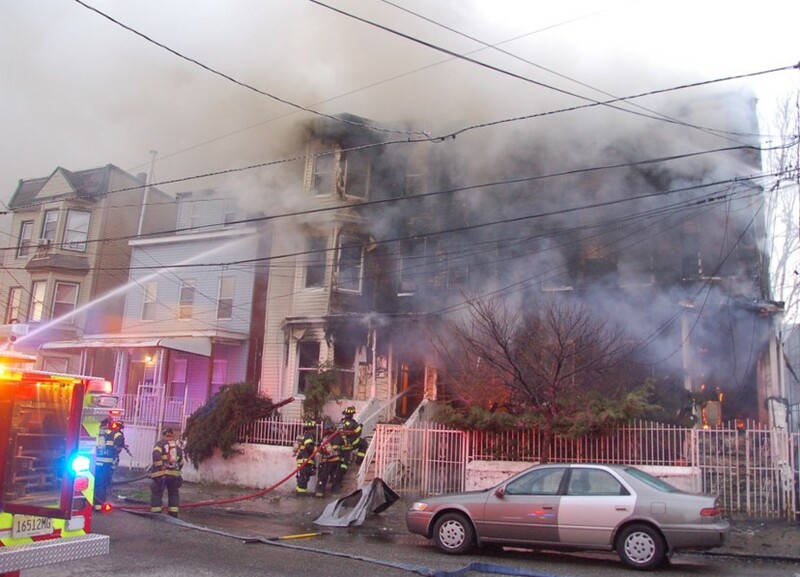 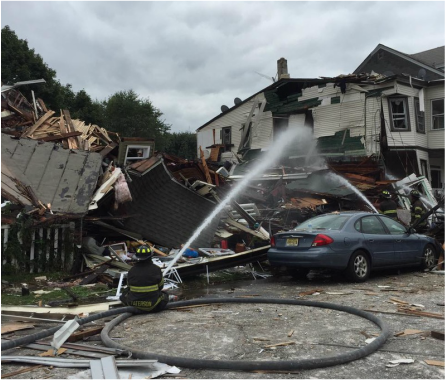 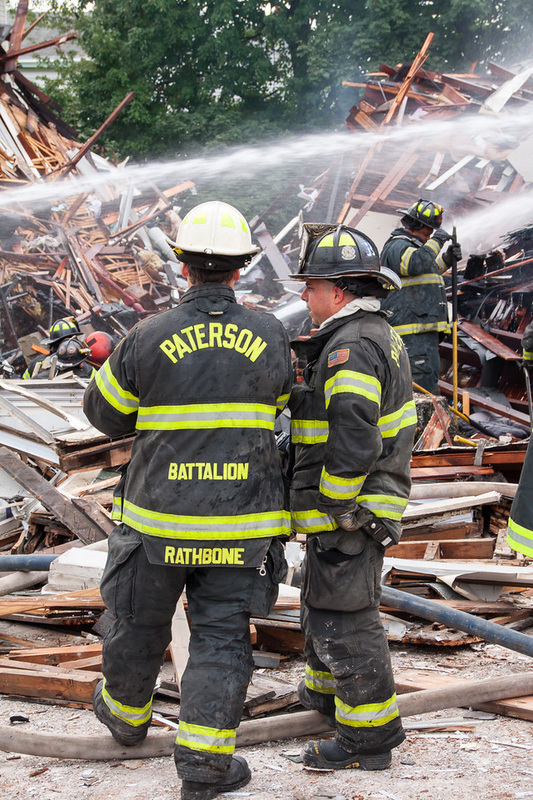 From news sources: A gas leak was believed to be to blame for an explosion that destroyed two homes Tuesday morning in Paterson. 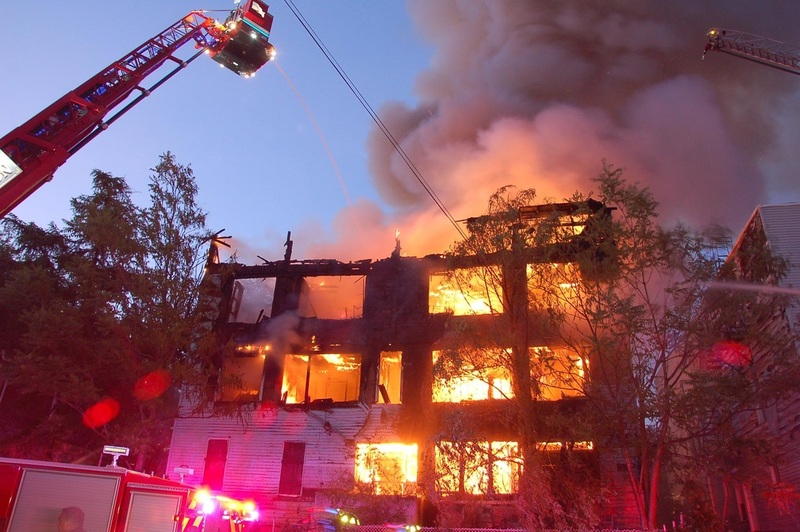 As CBS2’s Ali Bauman reported late Tuesday, it was truly incredible to learn that no one was killed in the explosion that leveled the residences. 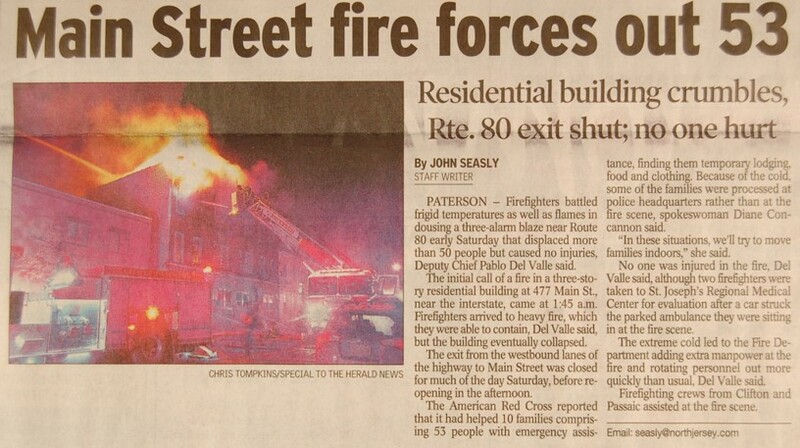 And officials said many people came close to a very different outcome. 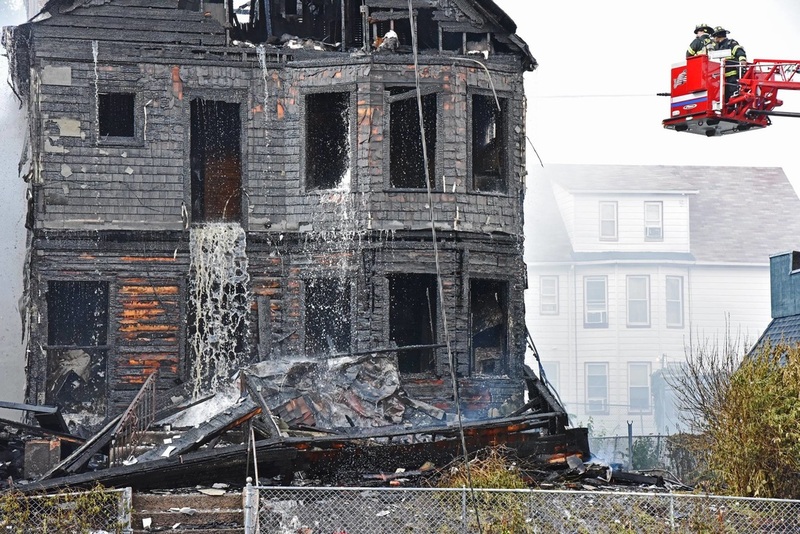 At least 38 people were left homeless by the blast, which destroyed two buildings containing four residences. 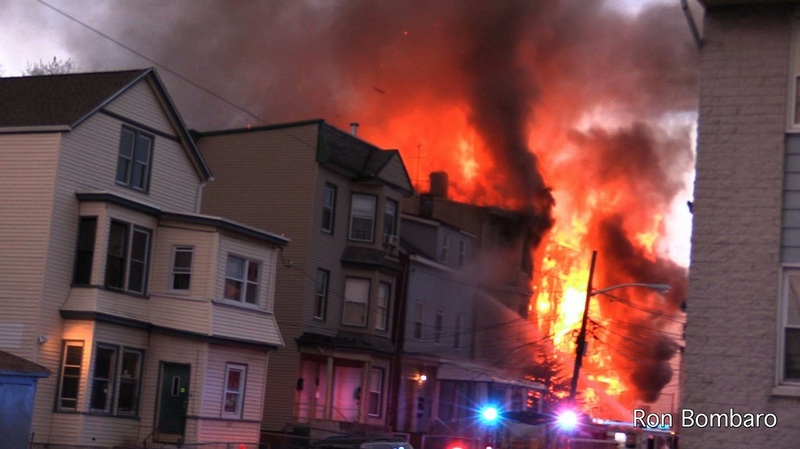 Surveillance video captured the moment it shook people to the core. 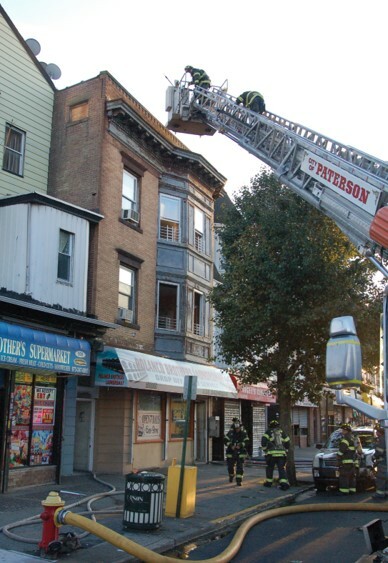 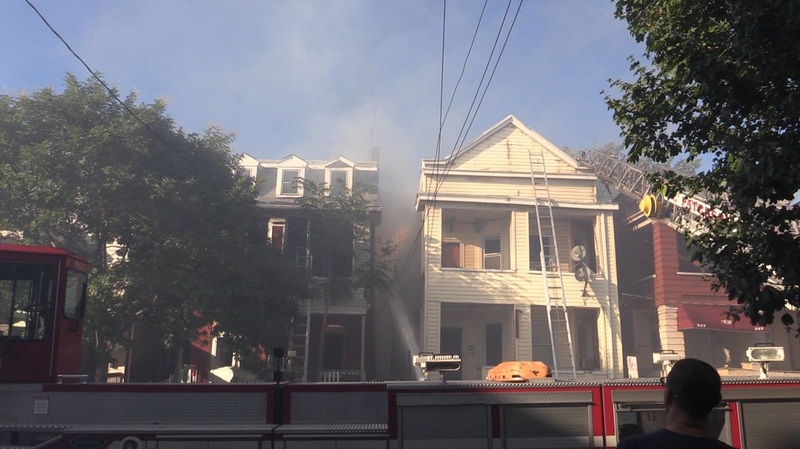 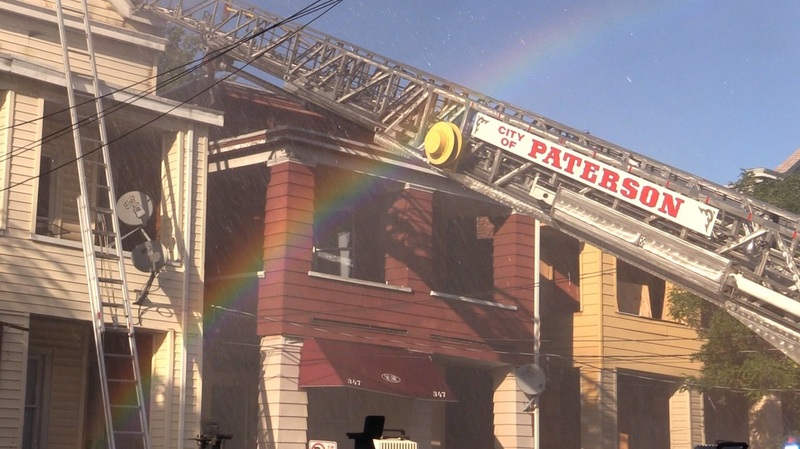 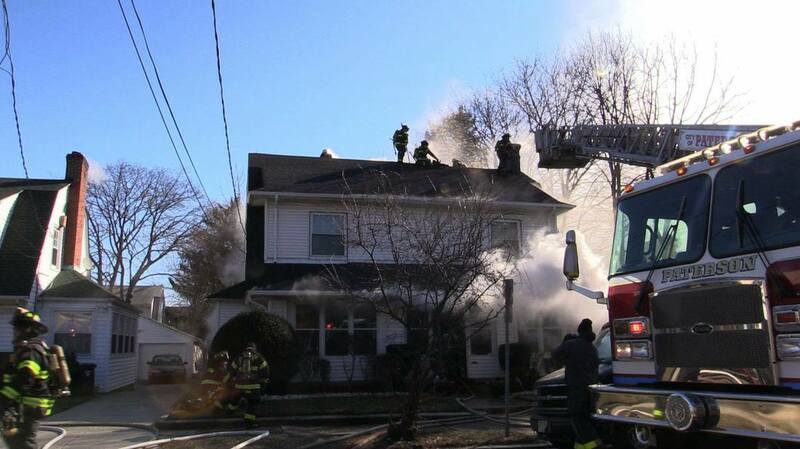 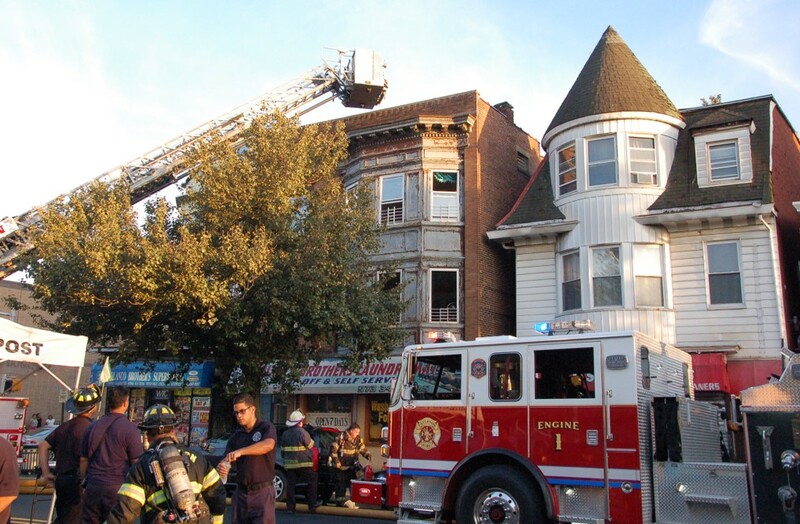 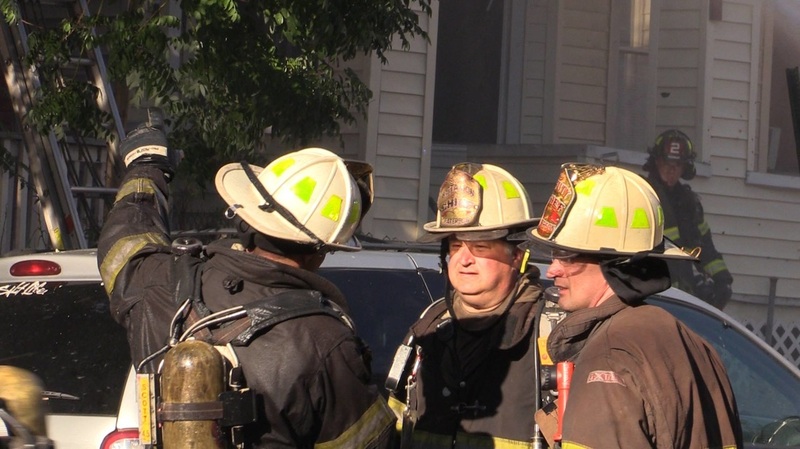 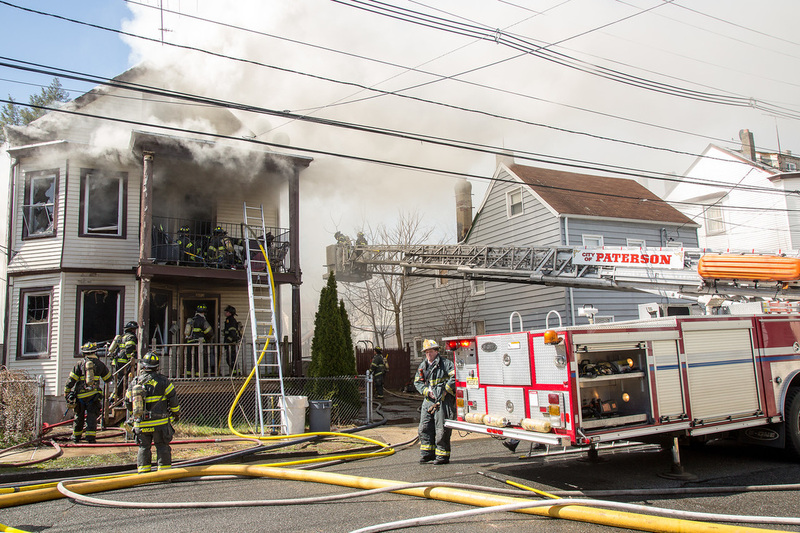 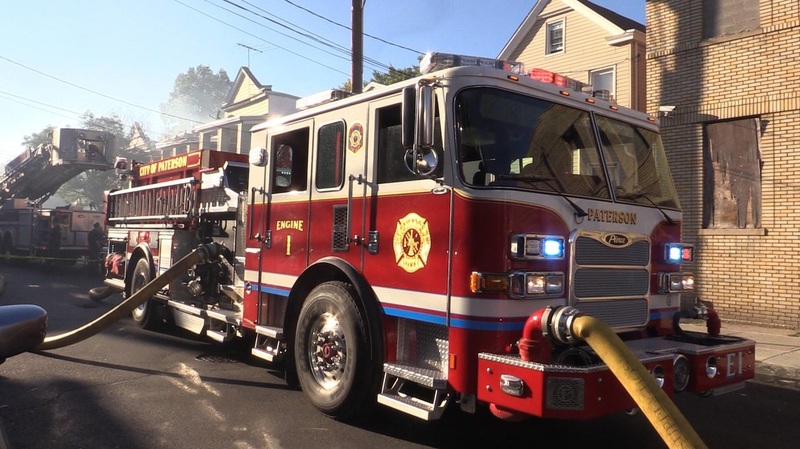 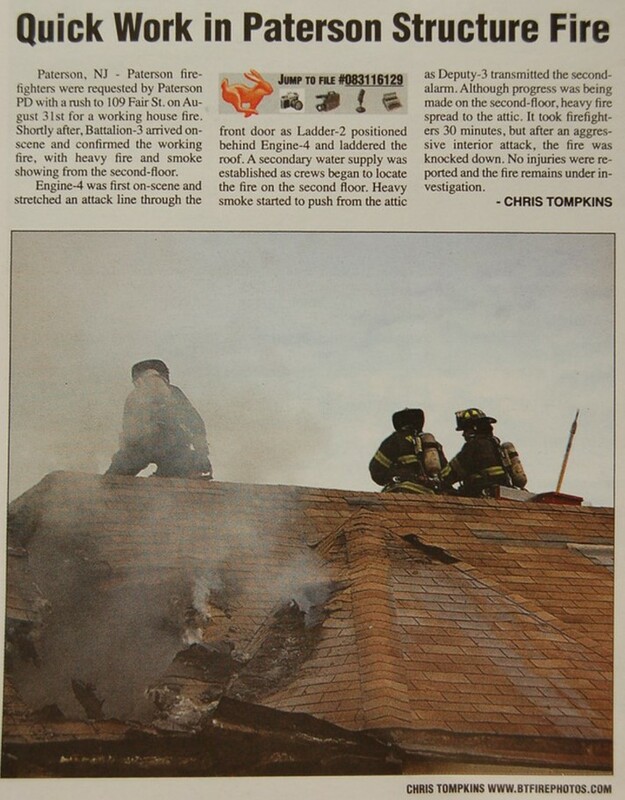 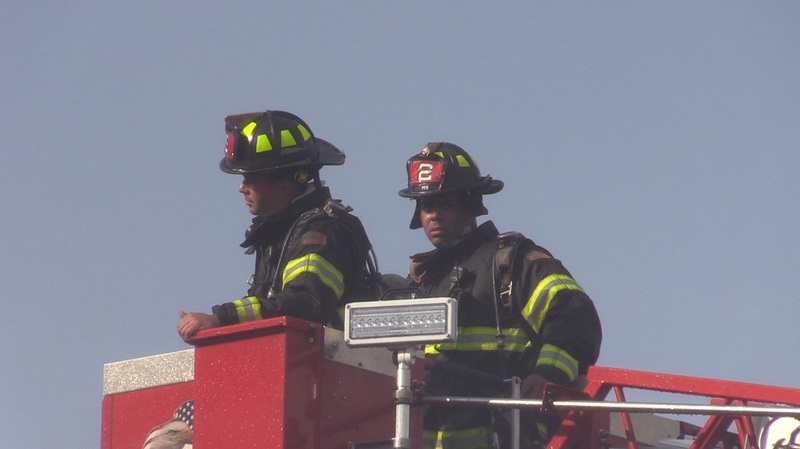 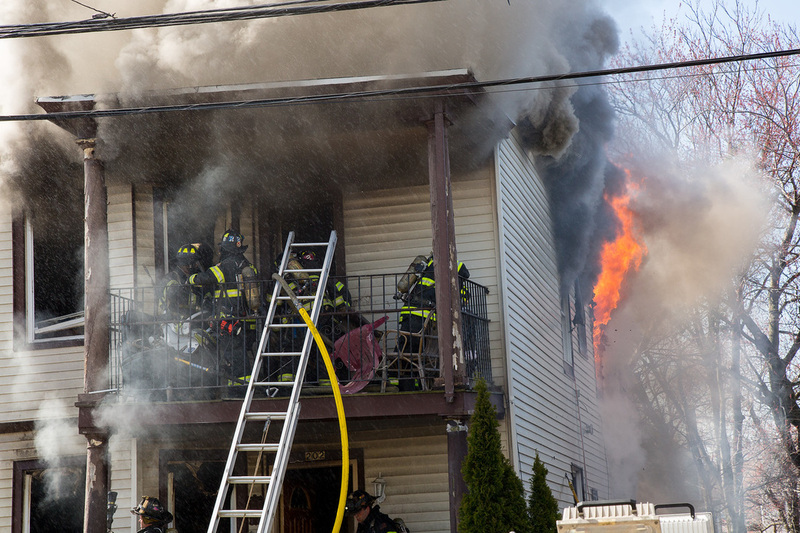 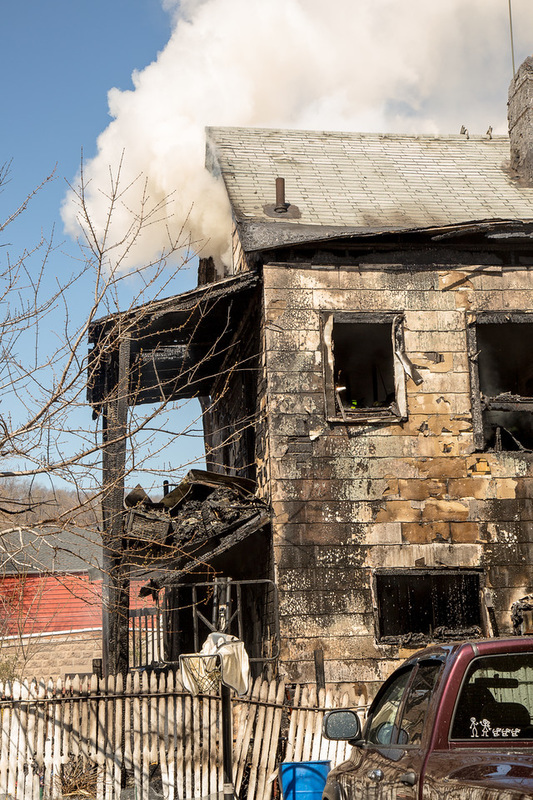 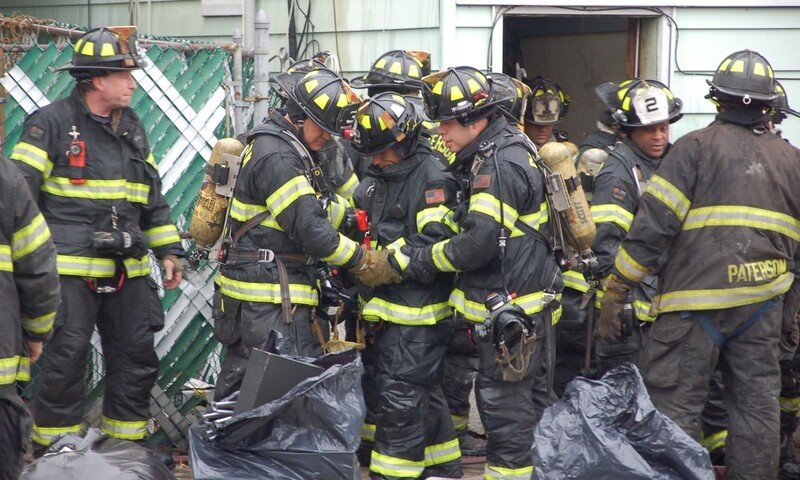 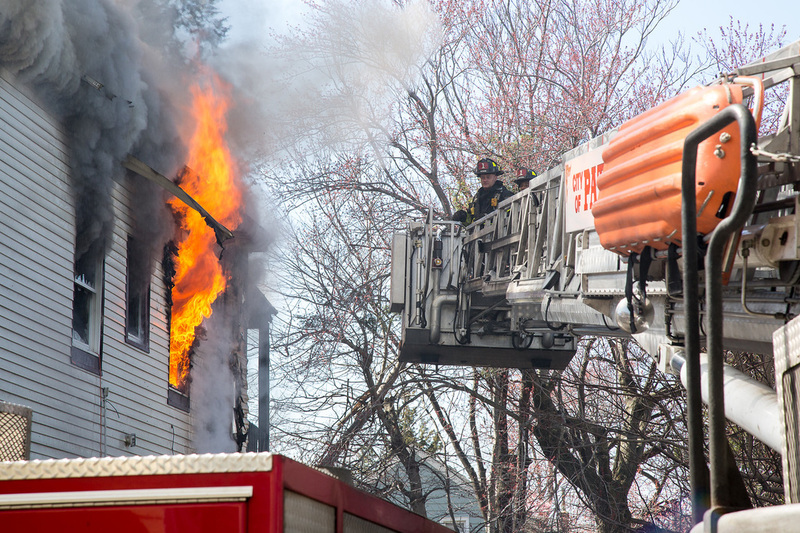 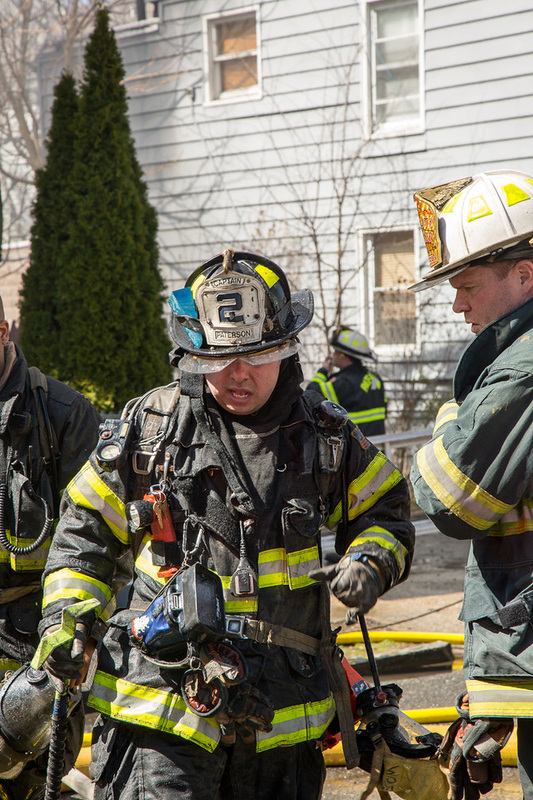 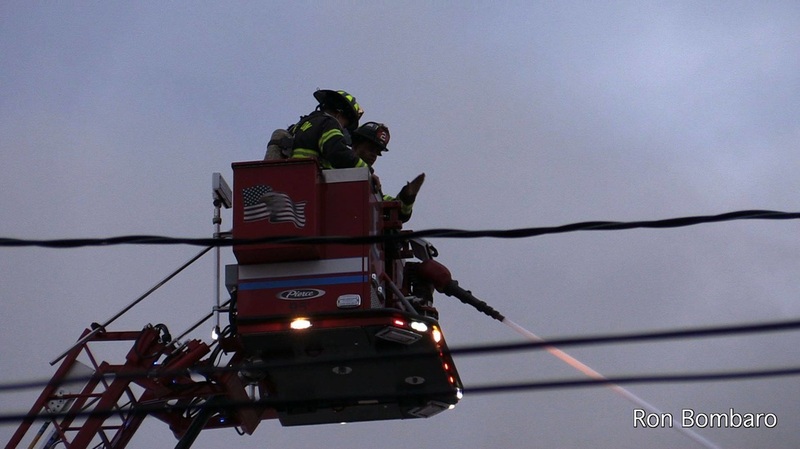 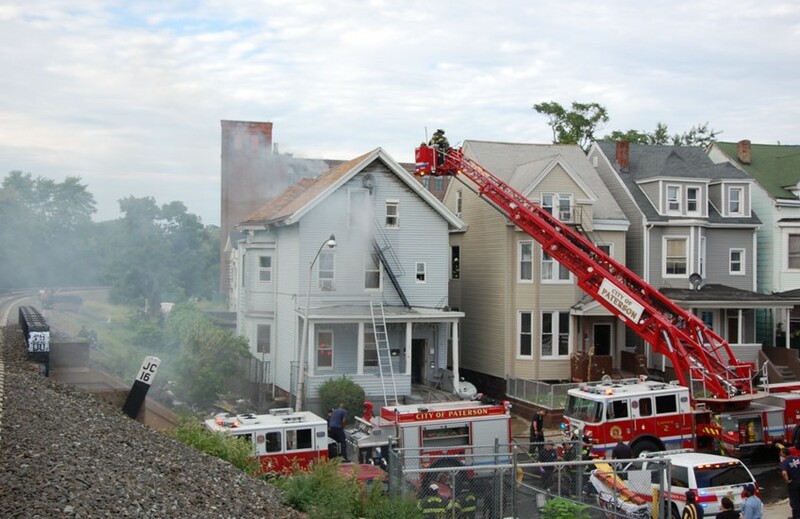 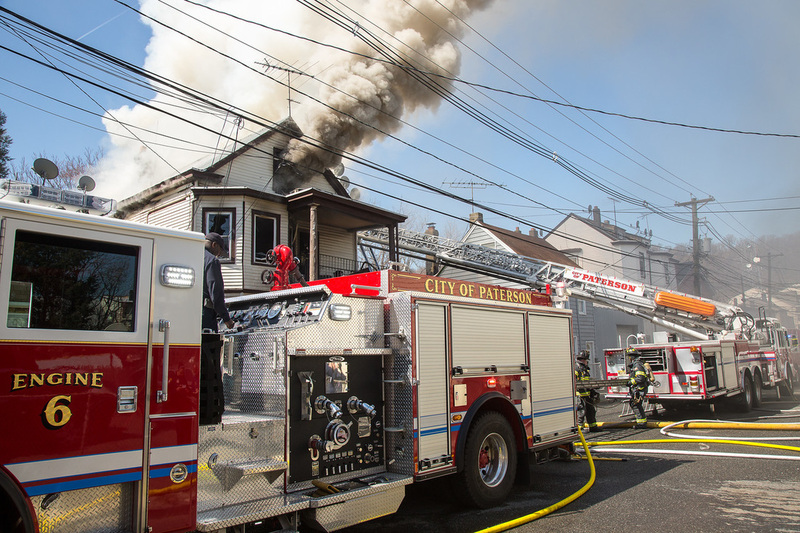 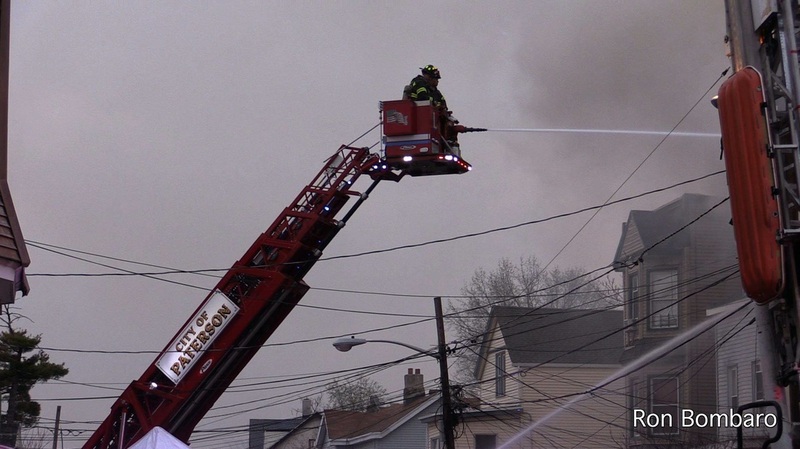 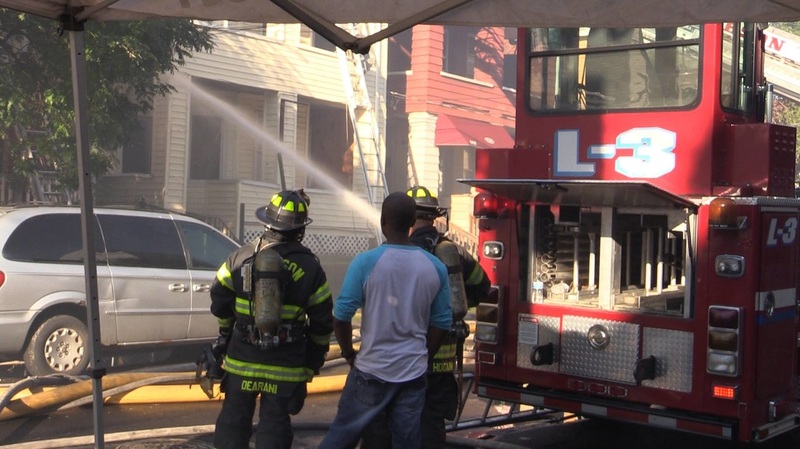 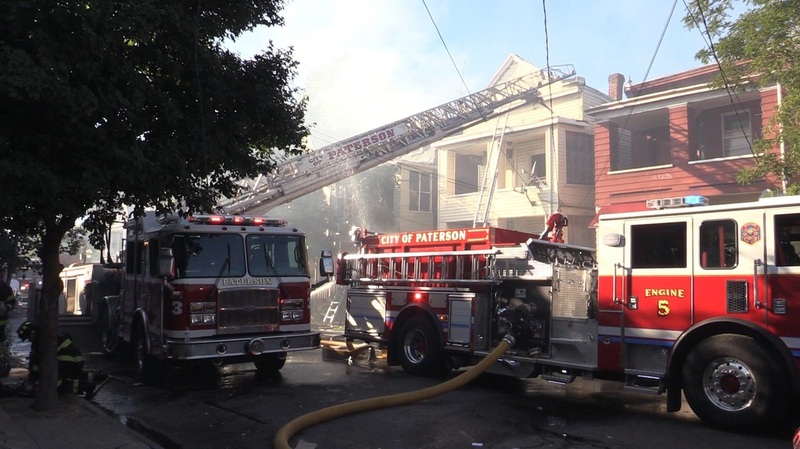 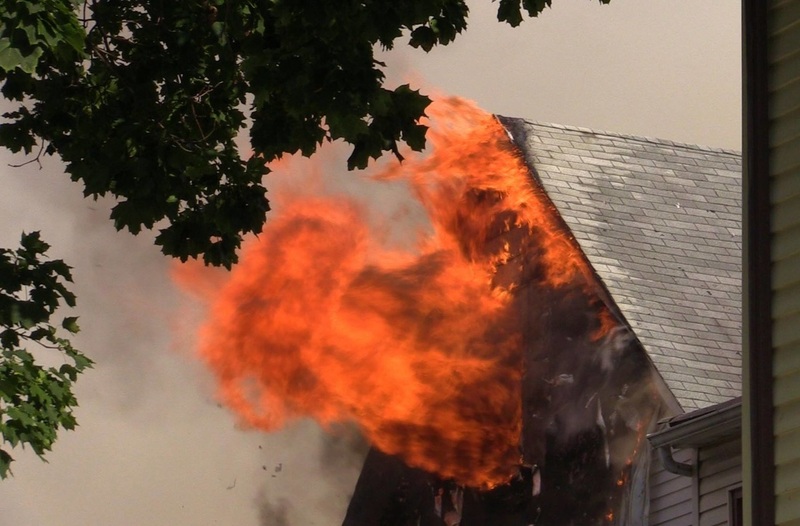 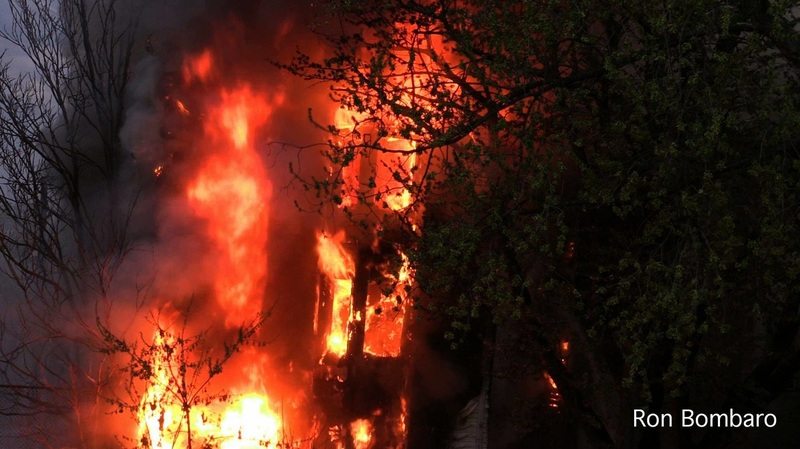 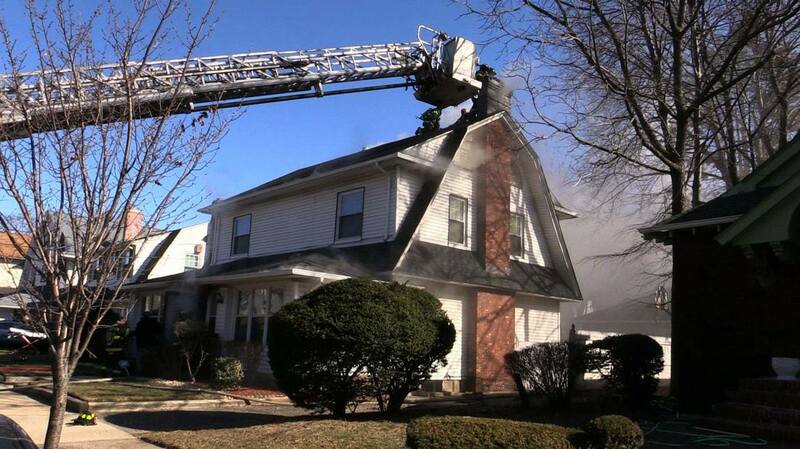 The chain of events began when Paterson firefighters, under actions of first on scene BC Brian Rathbone, did a “rapid evacuation” of residents after being called to a house at 16 Goshen St. on a report of a gas smell around 9 a.m. Tuesday, Paterson Fire Chief Michael Postorino said. 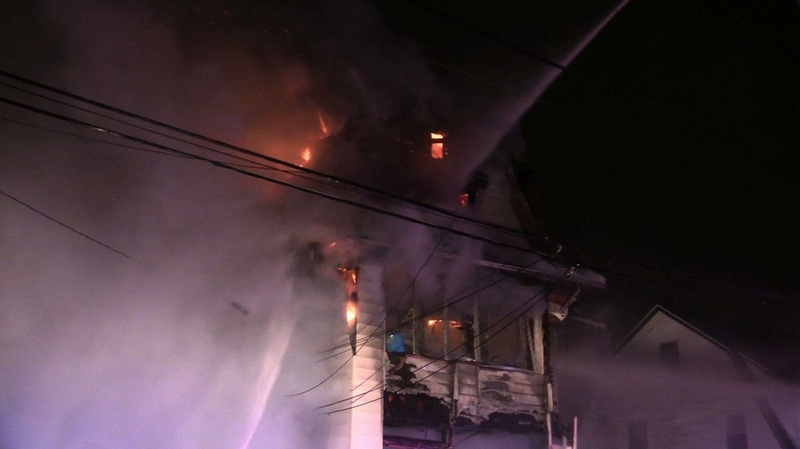 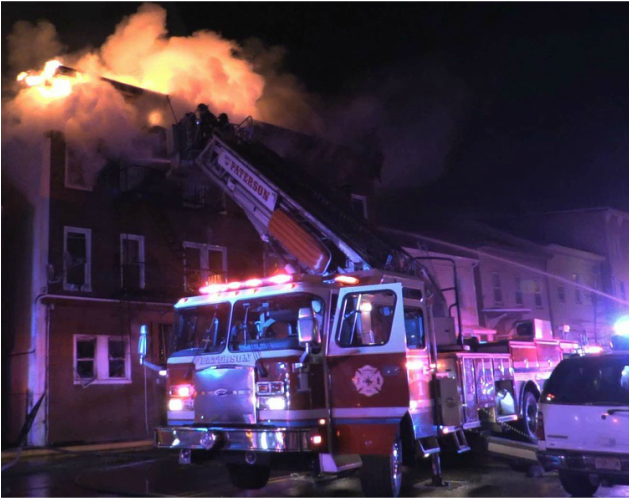 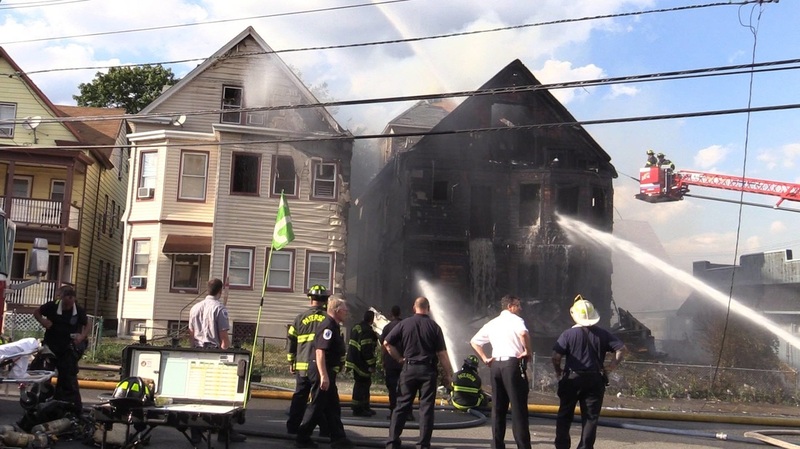 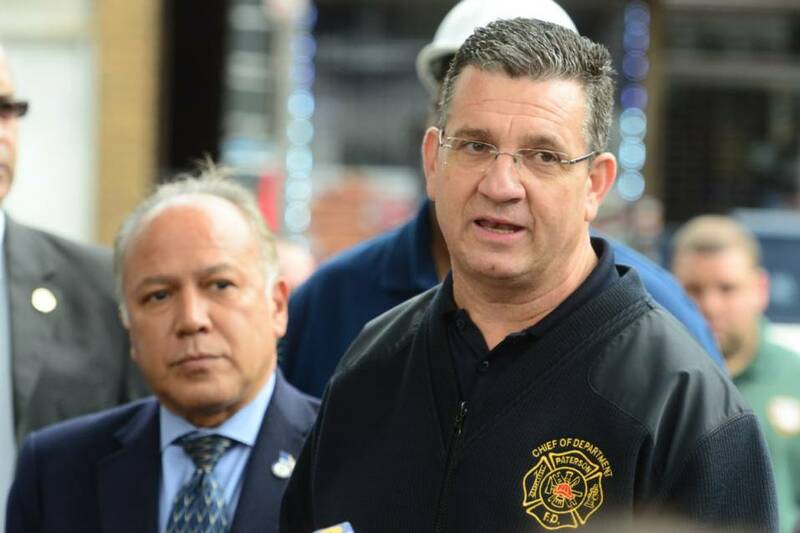 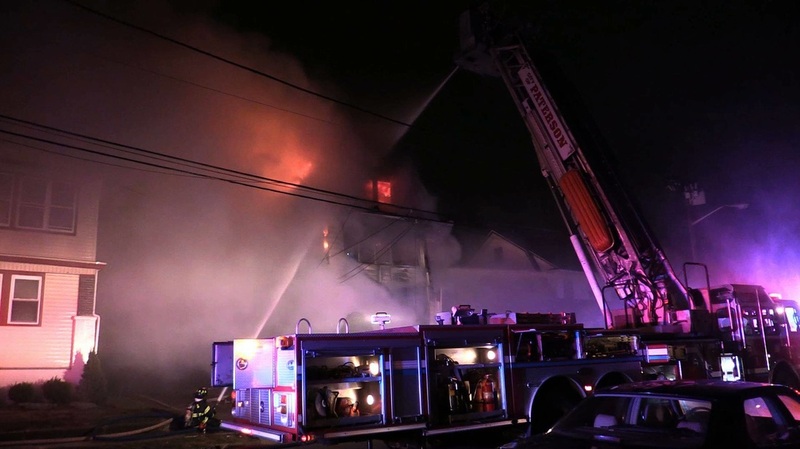 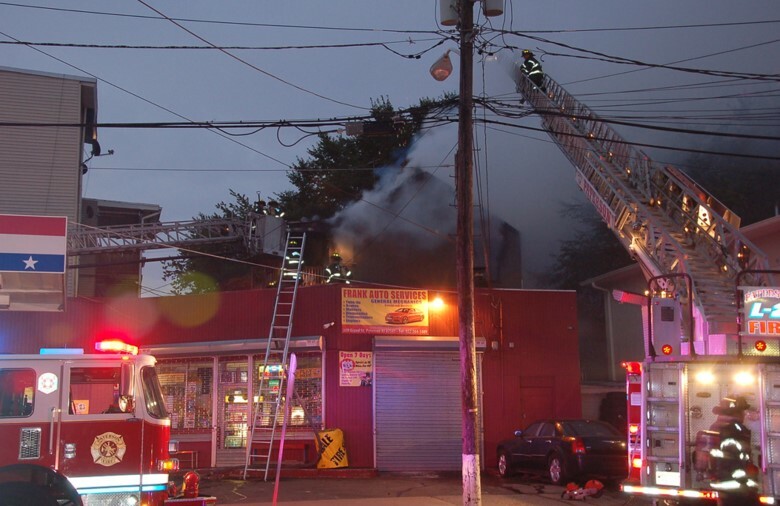 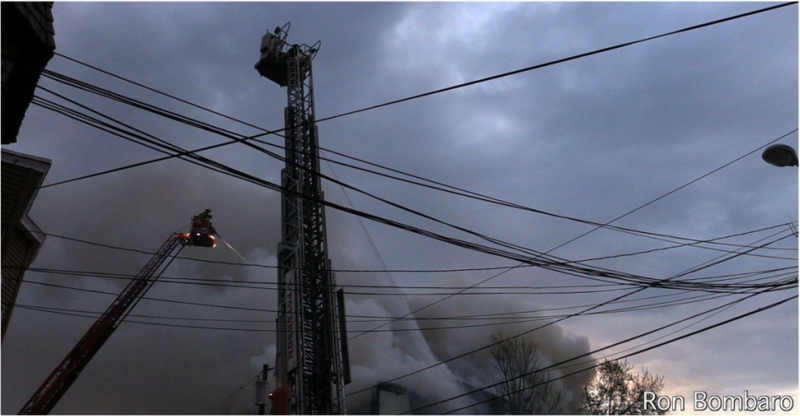 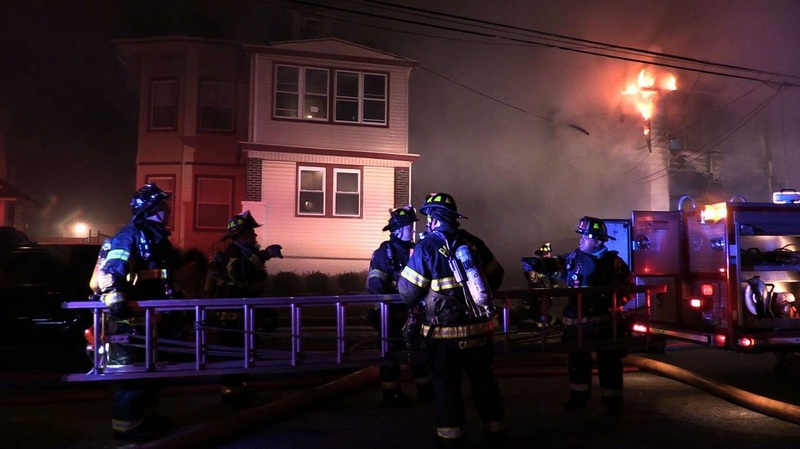 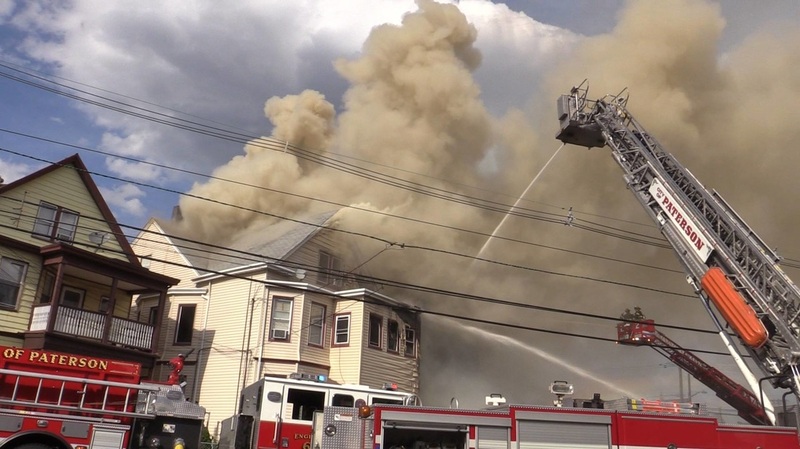 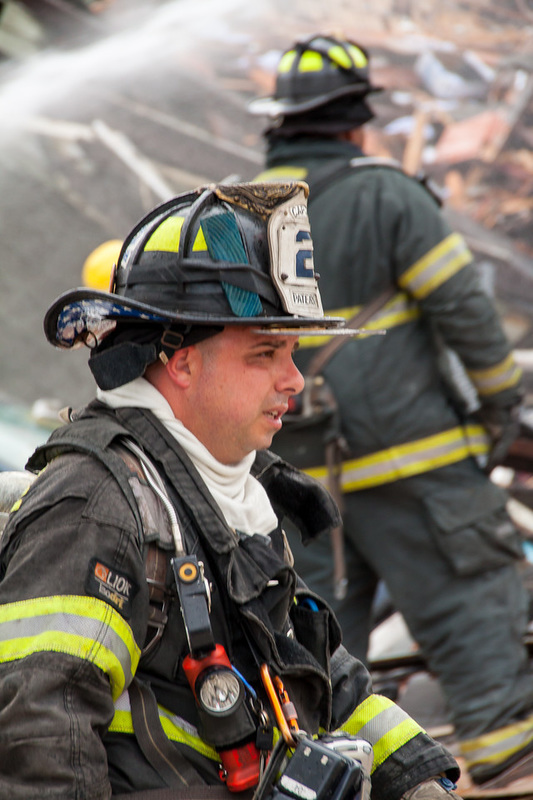 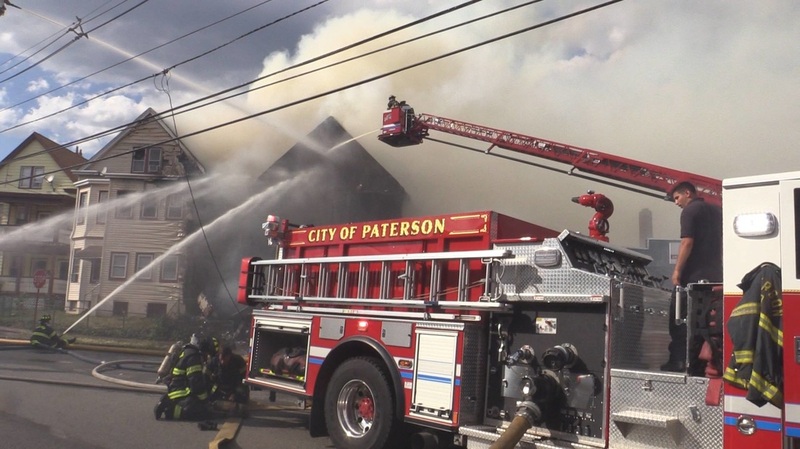 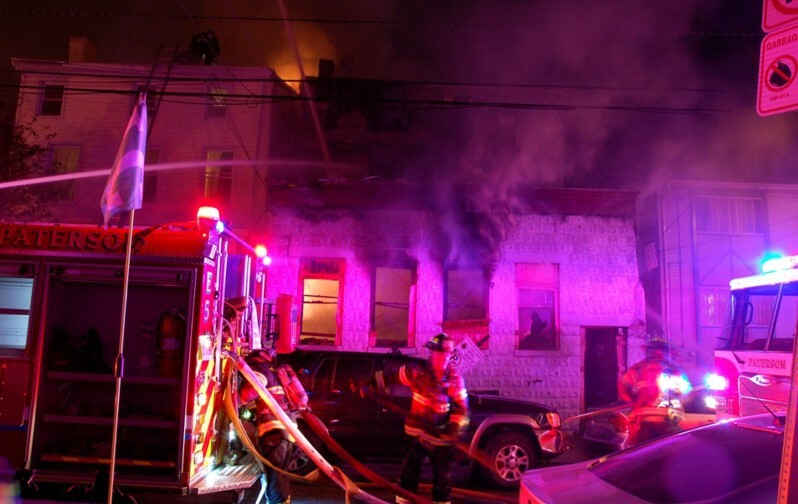 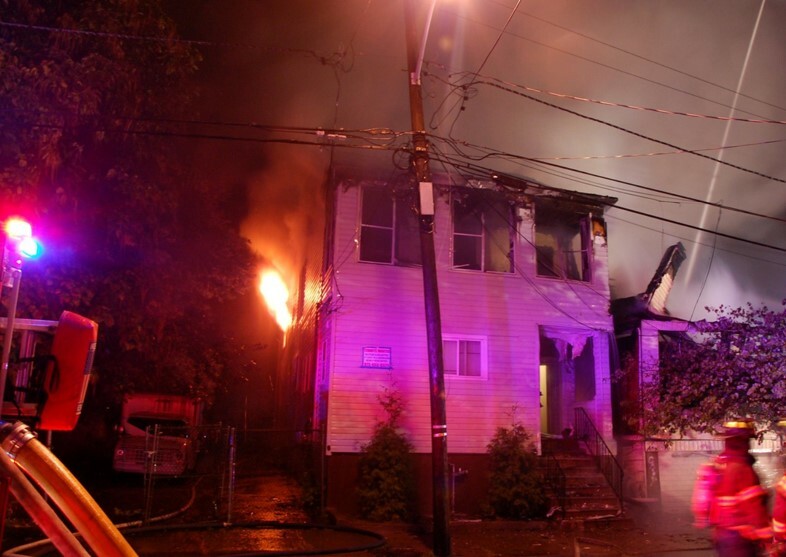 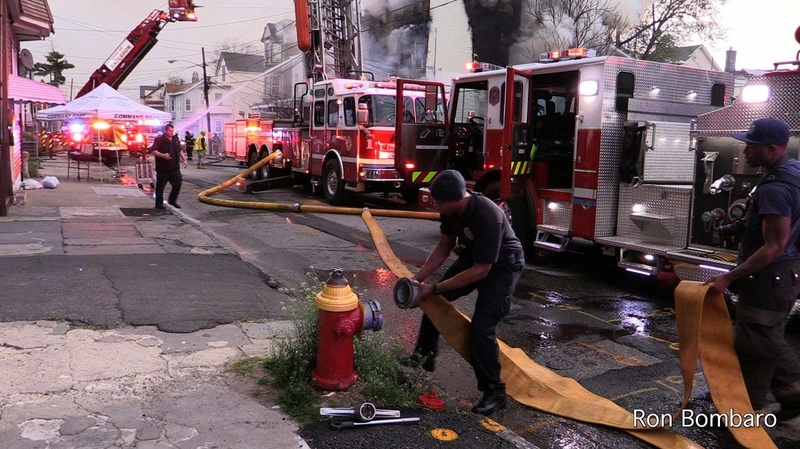 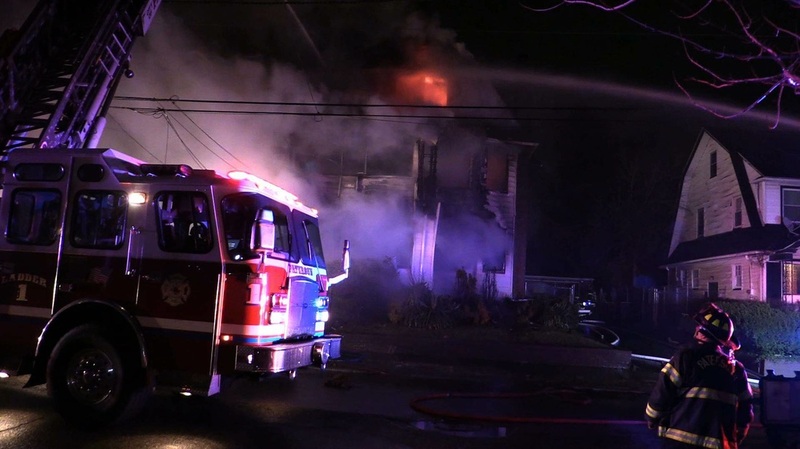 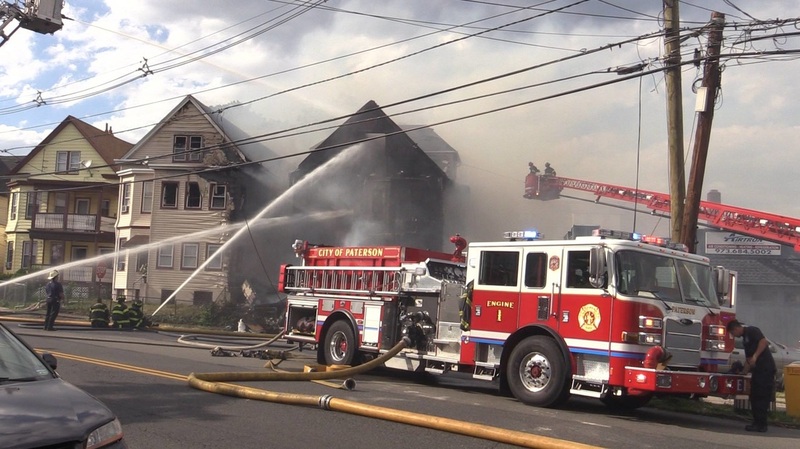 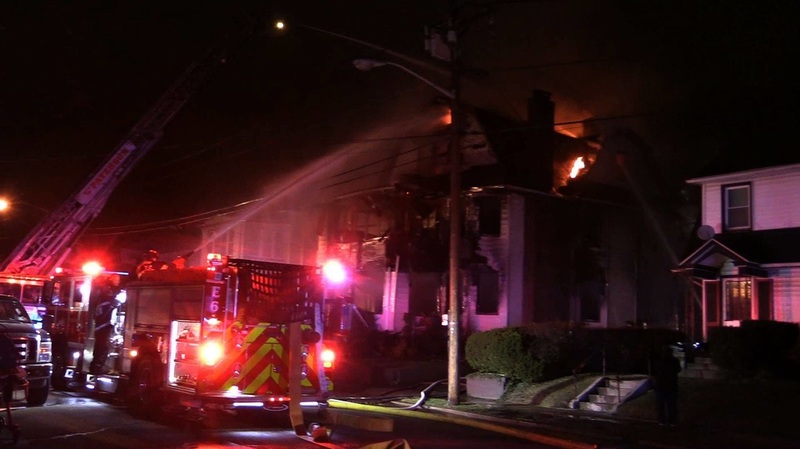 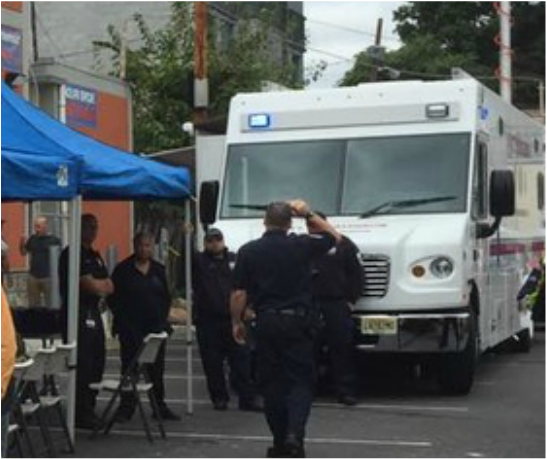 Fifteen firefighters were taken to the hospital in the aftermath of the explosion, Paterson Fire Chief Michael Postorino said. 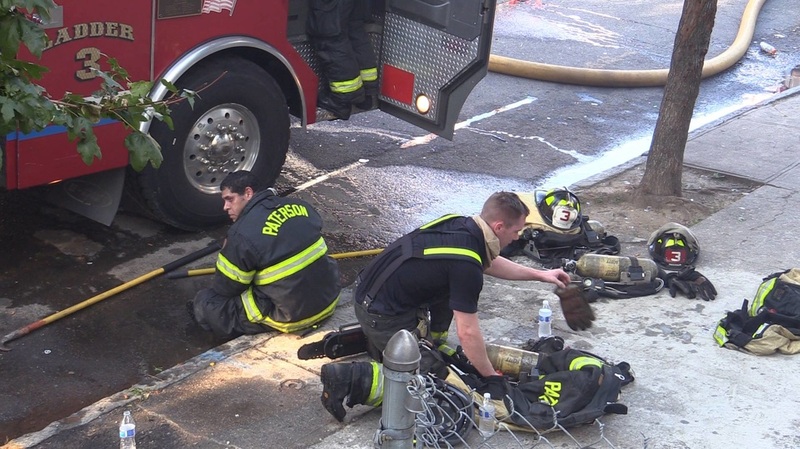 Four of the firefighters were treated for ruptured eardrums, and the rest for swelling in the ears. 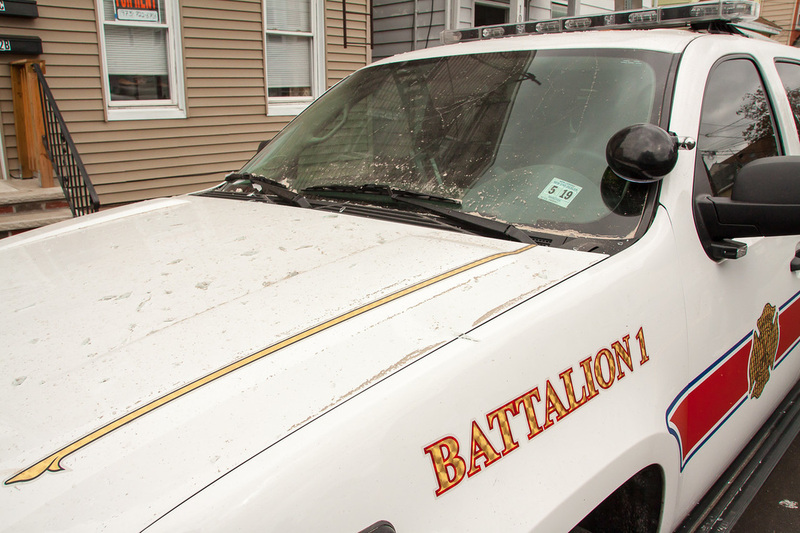 Three police officers were also treated for ear problems. 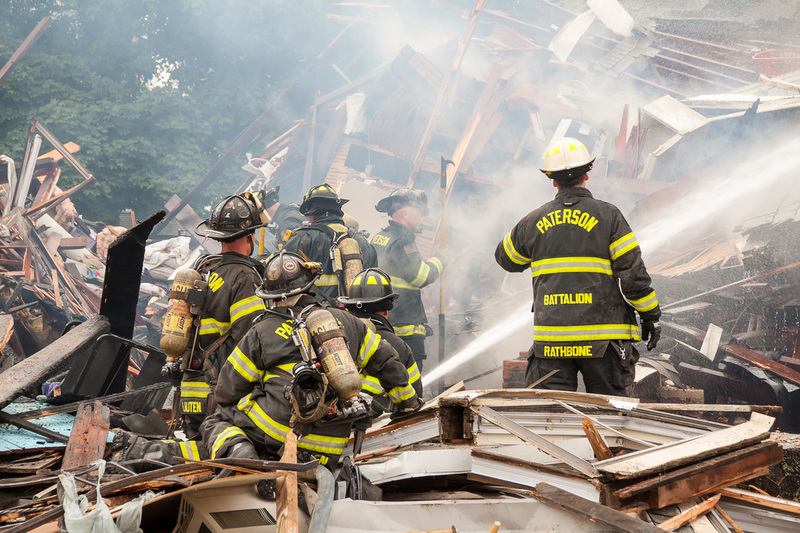 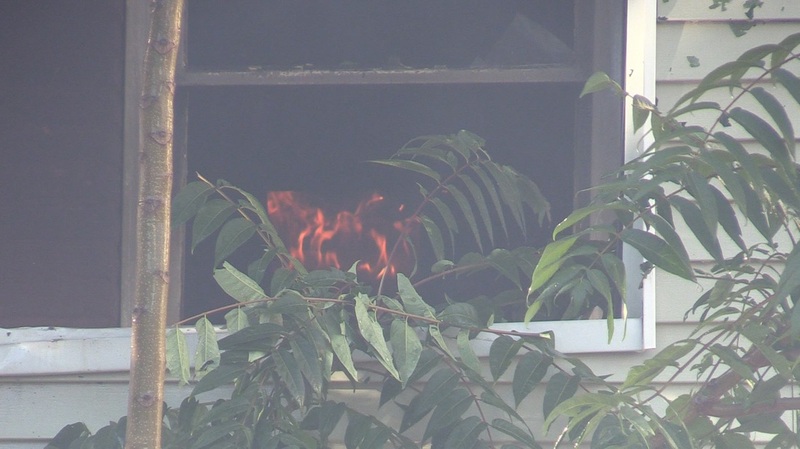 No residents were injured in the explosion. 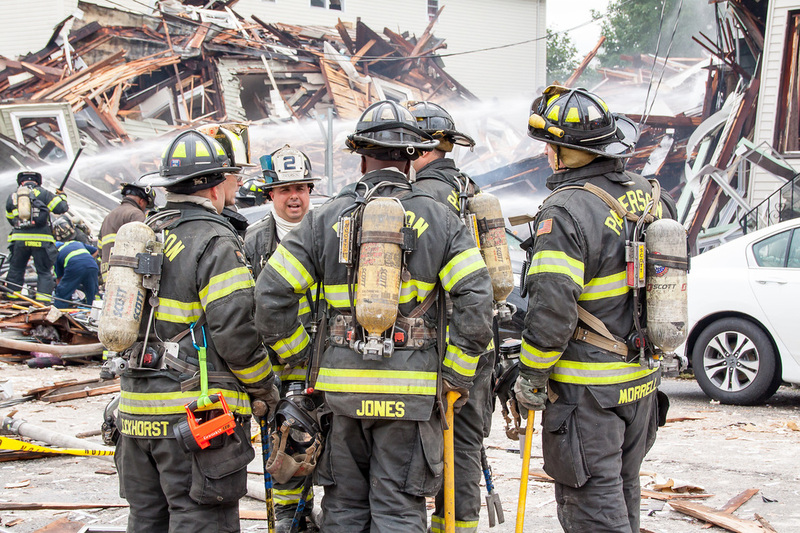 Residents described a chaotic scene as police and firefighters raced to get people to safety minutes before the blast, after receiving a 911 call at 9:01 a.m. from a resident reporting an odor of gas.